A lovely olive wreath design with relaxed and informal fonts to evoke a sun-drenched wedding. Add each guest’s name on a kraft tag tied with bakers twine or rustic twine. 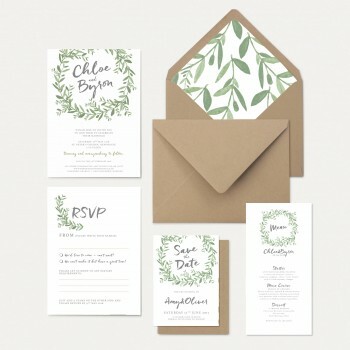 Gives a lovely finishing touch to your invitation and saves you writing them!